The self-driving cars of the future are coming, but to get here a little bit quicker, they may use technology straight out of the 1980s. Pioneer is launching manufacturing trials of a new LIDAR (light detection and ranging) system that could help autonomous vehicles scan the world around them, and the company is leaning on its decades of experience with laserdiscs to develop it. For our younger readers, laserdiscs are like CDs, but bigger. Driverless vehicles like the Google car already use LIDAR tech to “see,” but the units are very expensive. In fact, the roof-mounted sensors can cost as much as the cars themselves, ranging in price from about $25,000 to over $70,000. Pioneer’s contribution, however, is expected to be much cheaper. By basing its products on the optical pickups used to scan laserdiscs, Pioneer hopes it can bring to cost down to around $85 by 2025, reports Nikkei. For autonomous cars, the benefits of laser scanning are plentiful. The beams are projected from an emitter and read as they reflect back, allowing the computer to determine the shapes and locations of objects with fantastic accuracy. They can even detect painted lane markers, potholes, and dips in the road, which will be invaluable as driverless people-carriers begin to take the streets. Pioneer has already finished work on a prototype and hopes to begin evaluating the system next year. It will enlist a subsidiary company that produces digital maps to test the product, and Pioneer hopes to have a commercial version ready by 2017. After that bridge is crossed, the electronics giant plans to develop a consumer car equivalent for companies like Google in 2018. Laser technology is all well and good, but the fact remains that computer-controlled vehicles need to know where they’re going and how to get there. 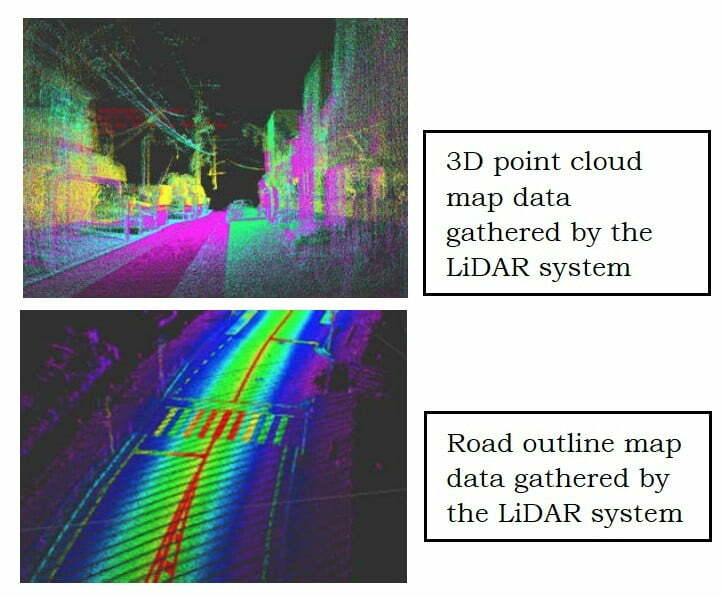 To address that side of the coin, Pioneer is working on a cloud-based navigation program that gathers info by aggregating measurements taken by LIDAR-equipped cars. In other words, it builds maps through crowdsourcing, and Pioneer aims to perfect that program in 2018.